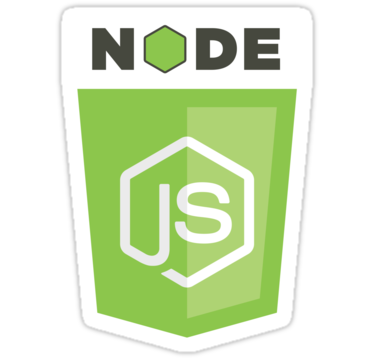 When building a web application in raw Node.js you might use the http class as we have started using Node.js. Back then we only used the response object, but if we are interested what the request was then we should also take a look at the request object we receive in the callback. In this simple example of an http server in Node.js print out some of the values from the request object which is an instance of the http.ClientRequest class. I ran the above script using node examples/node/http_client_request.js it printed Browse to http://127.0.0.1:8081 so I browsed there with my regular browser. At first it confused me a bit, why do I have two GET request, but then I remembered, and looking more closely I can also see it. The first request was indeed to /, (as you can above the second GET line), but then another request was sent by my browser to the /favicon.ico. This is an automatic request my browser send in the hope that it will be able to put this little image on the tab where I opened the page. I don't want this extra confusion in my research, so I switched to the curl command that is available on Linux/Unix. From this point I was switching back-and-forth between the two consoles. The printout on the other console was similar to the previous printout, except of the last line that shows the url. The first line shows that it was indeed a POST request, the header had some extra fields, but the data itself was not included. Of course, the data needs to be read in and processed in another way. This is another area where the non-blocking nature of Node.js is seen. Instead of just reading the data from the request object we add a callback method to the data event of the request object. This will be called every time another piece of data arrives. Of course, if all the data is only 11 characters as in our case, then this is not very interesting, but if you are sending a lot of data then it is important to read that in without blocking the rest of the site. Now that we have a call-back waiting for data, we should finish our response only after all that data has arrived. Hence we also added a callback for the end event of the request object and in that callback we print to the console all the data that was sent by the client, and finish our response by calling its end method. So indeed, this managed to collect the data that was sent by the client.